KABUL -- Afghan women and youth are standing in defiance of militant threats, saying they will continue to advance their causes and careers with more determination than ever before. "Over a period of 16 years, woman activists have been facing challenges and threats from terrorist groups, especially the Taliban," said Hamida Wardak, a Kabul-based civil society and women's rights activist. "Nevertheless, women's civic activities have not diminished," she told Salaam Times. "On the contrary, more civil society institutions and justice-seeking centres for women were established." "Despite the existence of such threats -- including suicide attacks and assassinations of female civic and women's rights activists by extremist and terrorist groups -- we still witness hundreds of gatherings, civic protests and justice-seeking activities by women throughout Afghanistan," Wardak said. "The ever-increasing activities of Afghan women and youth indicate that neither the Taliban nor other terrorist groups can ever stop their civic participation through threats and fear-mongering tactics," she said. Just 10 years ago, women could not use their real names on social media because of fear of the Taliban and social taboos, Wardak said. "Today, however, thousands of Afghan girls and women are active on social media pages using their own names and images, expressing their demands, their civic dissatisfaction and their stances against terrorist and extremist groups without any fear," she said. "Civic activists, youth movements and justice-seeking movements will never succumb to [such threats] and we will not take even one step back," Wardak said. 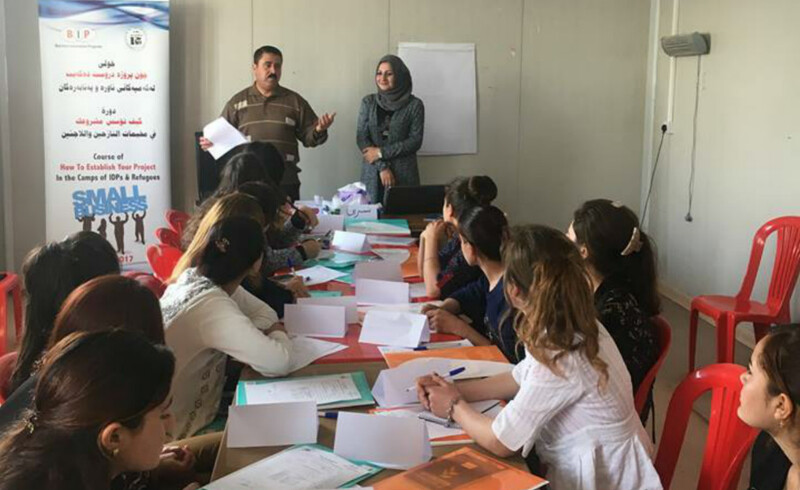 Women and youth have been raising their voices and joining the workforce in jobs previously unheard of under the Taliban's repressive regime (1996-2001). Defying existing threats from the Taliban, "Islamic State of Iraq and Syria" (ISIS) and other militant groups, these Afghan trailblazers vow to never back down. Ajmal Haqiqi, head of the Kabul-based Haqiqi Modeling Agency, has been working as a fashion model for the past 10 years. Modeling would have been unthinkable during the years of oppression by the Taliban, he told Salaam Times, adding that he continues to face threats from militants. "There are 52 young female and male models in my group," he said. "Through modeling, we display our culture and traditional clothes. We also want to [unite] different ethnic groups in Afghanistan by displaying their various clothes." "Even though the Taliban, ISIS and scores of others have challenged and threatened us, I, as well as the other models, have never stopped working," he said. "We have ignored all these threats and challenges and have kept moving forward." "The Taliban have repeatedly threatened to kill me," Haqiqi said. "Nevertheless, I have expanded my activities, and the number of models in my modeling group is increasing. I won't stop as long as I have blood running through my veins." Haqiqi continues to push the boundaries of what is acceptable. "Seven months ago, I held the first ever red carpet modeling event in Kabul," he said. "Terrorist groups had threatened us, saying, 'We will blow up your event.'" "We, however, did not fear the explosion or the threats, and we successfully held our event," he said. "We even said, 'We will continue our modeling activities, even if you take away our arms and legs in explosions.'" "Neither the Taliban nor ISIS nor any other extremist group can change the path that we have chosen," Haqiqi said. "We will continue on our path, in spite of terrorists' inhumane activities." "The Taliban, ISIS and all other terrorist groups are indeed the enemies of all Afghans, and especially of Afghan women," Angiza Latifi, a young journalist working in Kabul, told Salaam Times. 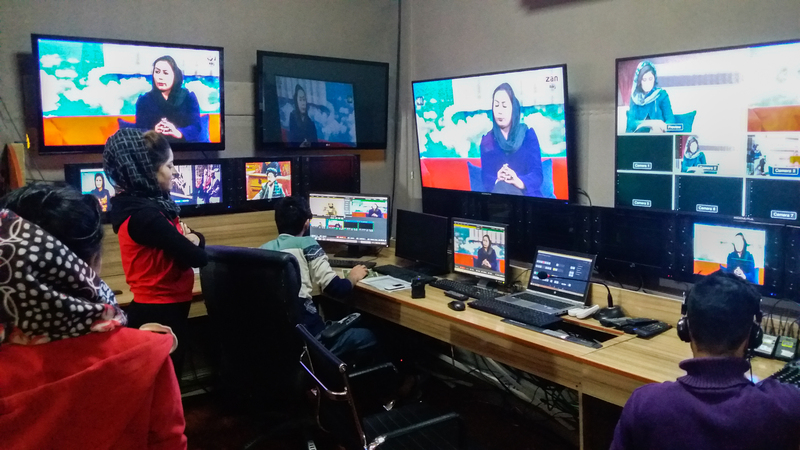 "More than any other Afghan social group, Afghan female journalists are the main targets of threats made by these groups," she said. "Female journalists, however, stand against these enemies with all their might and are hard at work spreading information in various provinces." "Through media, I portray the truth, I fight challenges and I reflect the voice of Afghan women," she said. "Neither the lack of security nor the Taliban can ever stop me from communicating information [to the public]." "I will continue to practice journalism ... while accepting the threats associated with this line of work," Latifi said. "The Taliban have been opposing girls' education for more than two decades," said Fattana Rashidi, 20, a Dari literature student at Kabul University. "They have destroyed schools, murdered teachers and threatened women in various ways," she told Salaam Times. "Fortunately, however, ... girls have taken their chances and in spite of the Taliban have attended schools and universities." "Currently, there are tens of thousands of Afghan girls who are attending schools and universities," Rashidi said. "The young generation of Afghans, males and females alike, condemns terrorism and extremism and considers them unacceptable," she said. As young people, we want education, progress and change. The Taliban can never stop us through ... their threats and brutality." In current situation, Afghanistan needs informed and talented young fighters. Young people are the ones who decide the future of a country. Hence, largest investments should be done to improve the youth's educational capacity and to find young talented individuals. 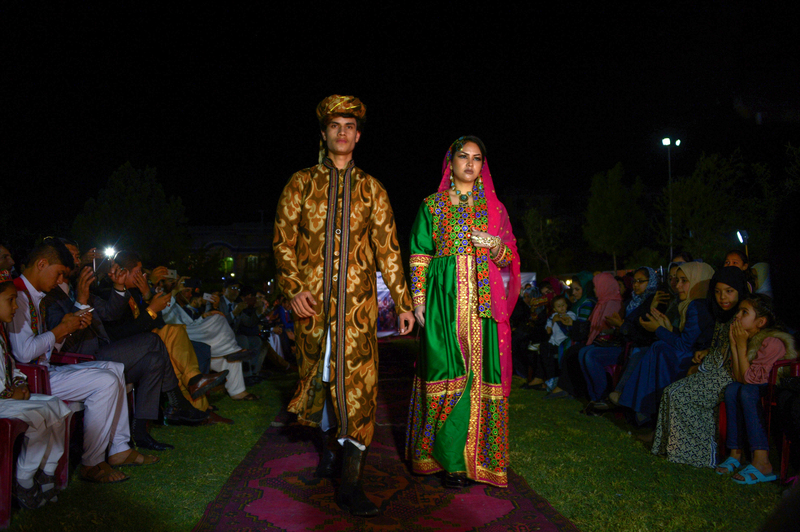 Male and female models displayed traditional Afghan outfits at a fashion show attended by local residents, artists and civil society activists.